NADIA BALLAS-RUTA is a mystic, writer, and a rebel for the Divine. Due to being born into a family of mixed ethnicity and religion, she was free to pick whichever religion she wanted to follow. As a result, the concepts of God and the Divine became huge subjects of fascination. At age 25, an intense spiritual journey began which included working as an attorney, initiation into the Ramakrishna Order, and so much more. 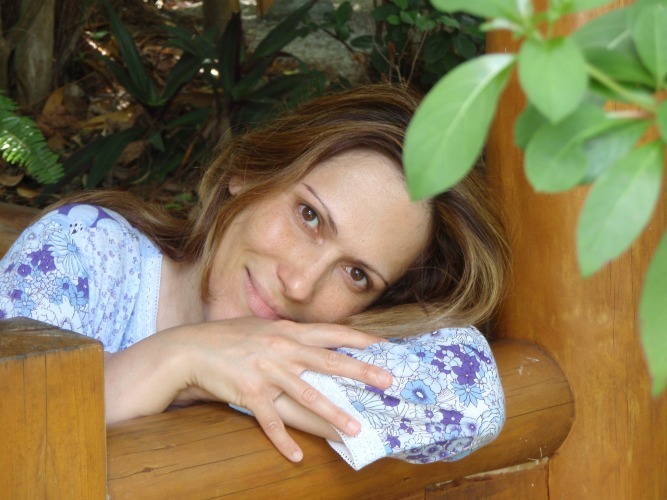 To Nadia, spirituality is not a hobby…it is a way of life. She currently works as a writer and lives in New Jersey with her husband. In order to fully live from our soul, there must be recognition of who we are, and that often involves making peace with our pain. None of us are immune to pain. Suffering is part of the human realm. However, the key is to transcend it, and learn from it. To deny its existence is pure ego, and has nothing to do with matters of spirit. Spirituality is not an external activity—it is an internal one. We are meant to take spiritual principles, turn them inward, and work on ourselves. Spirituality is not a hobby, but a way of life. When we follow our dharma and embrace who we truly are, the Universe rises to meet us, and works with us. Life is meant to flow, and any time it does not, it is a sign that we are getting in our own way. 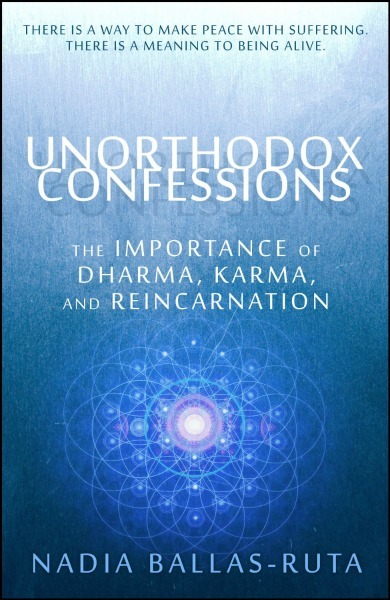 UNORTHODOX CONFESSIONS: THE IMPORTANCE OF DHARMA, KARMA, AND REINCARNATION is a gentle yet ground-breaking book drawn from the real-life illustrations of one woman’s suffering, death, and rebirth.